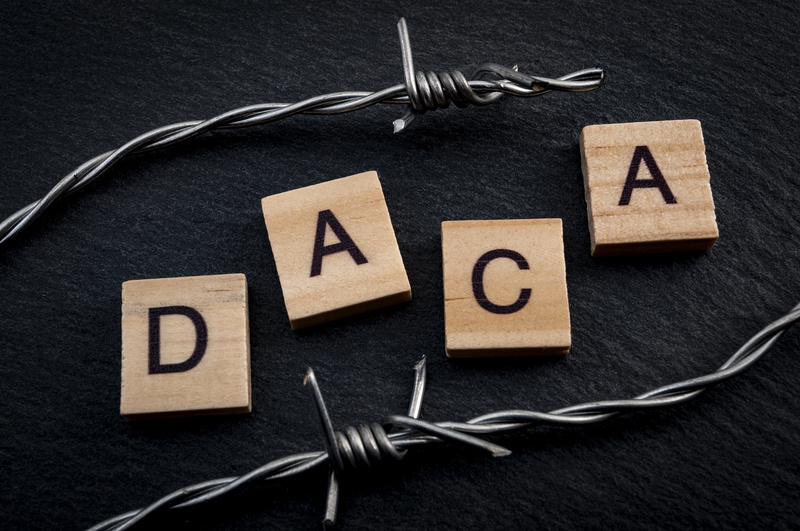 President Trump announced today that his administration is rescinding the DACA (Deferred Action for Childhood Arrivals) program for undocumented immigrants who were brought to the United States as children. The White House believes that former President Obama violated the constitution in his use of executive authority to provide a temporary reprieve from deportation for such children. As a result, the administration has decided to gradually phase out the program beginning March 6, 2018. This date was chosen to provide Congress time to enact legislation to address this issue. Effective immediately, the U.S. Citizenship & Immigration Service (USCIS) will no longer accept new applications for DACA (i.e. by those filing for the first time). The USCIS will continue to adjudicate new DACA applications already filed with the USCIS by September 5, 2017, the date of the announcement. Individuals who already have an approved DACA application, but whose DACA will expire by March 5, 2018, are able to extend it for an additional 2-years, but must file their extension with the USCIS no later than by October 5, 2017. The USCIS will not accept any more DACA applications after October 5, 2017. Individuals whose DACA expires after March 5, 2018 will not be able to apply for an extension. This means that, beginning March 6, 2018, thousands of DACA youth ill begin losing their protection from deportation and work authorization. In addition to having a devastating impact on the youth involved, this will also have a crippling impact on the U.S. economy according to a recent study by the Center for American Progress. Please contact our firm if you or someone you know is affected by this announcement and needs assistance.